Yorkshire is the largest county in England. It covers around 6,000 square miles (15,000 km²) , has a population of approximately 4,700,000 and is rightly described by Singleton and Rawnsley (1986:7) as ‘the county of broad acres’. Located in the north of England its eastern boundary is coastal and overlooks the North Sea. To the west lie Lancashire and Greater Manchester whilst the neighbouring counties to the north are Cumbria and Durham. Adjacent to Yorkshire’s southern boundary are the counties of Derbyshire Nottinghamshire and Lincolnshire. Geographically the central part of the county features the great plain (or Vale) of York which is bounded by the Pennine hills to the west and by the North York Moors and the Yorkshiore Wolds to the east. 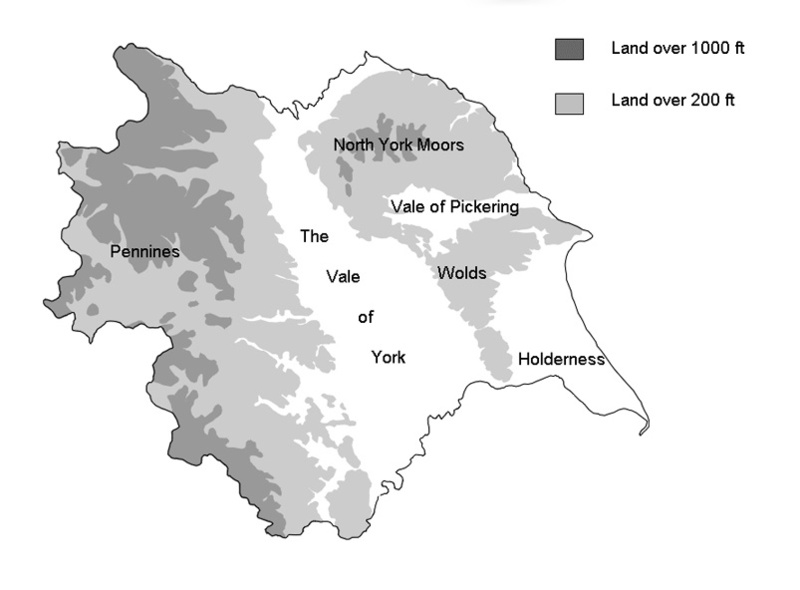 The other flatlands worthy of note are the plain of Holderness and the Vale of Pickering. See map below. Historically, Yorkshire has a long history. 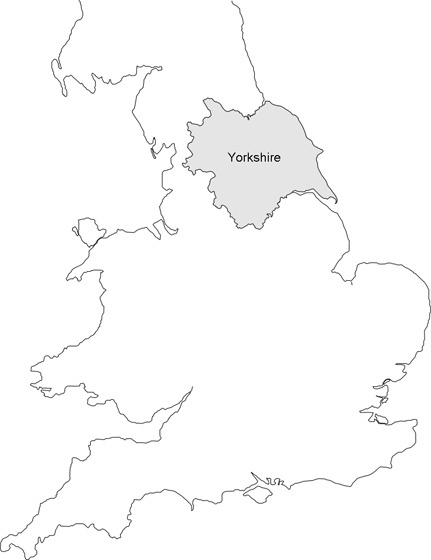 Prior to the implimentation of the 1972 Local Government Act the boundaries of Yorkshire corresponded roughly to those of the ancient Danish kingdom of York. The administrative areas of the North, East and West Ridings to all intenrts had remained unchanged since their formation over a thousand years ago. The word 'riding' is of Old Norse origin and is derived from þriðjungr ( a third part). However, Yorkshire was settled long before the arrival of these men from the North. Its first inhabitants arrived around 10,000 years ago moving into the area during one of the less severe interglacial periods.